Saginaw Bay at Pine River and Palmer Road, the perch run is apparently over. The fish are spawned out and most of them are small. 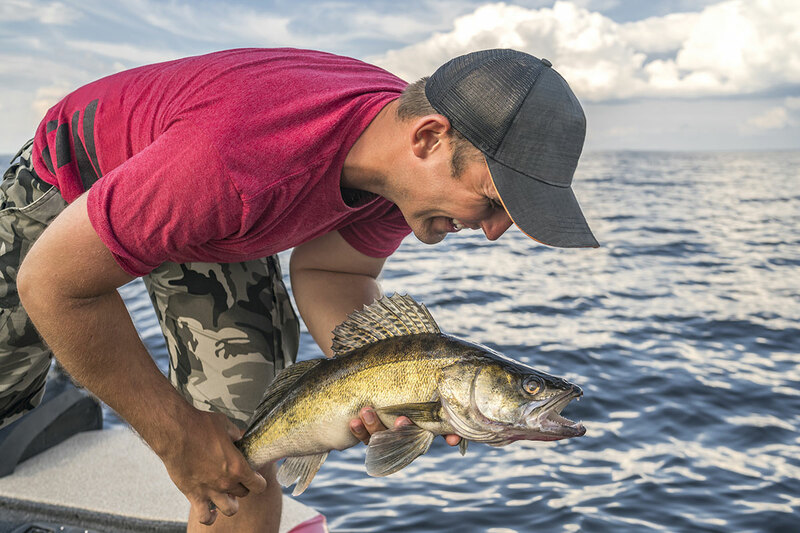 Good walleye fishing off Linwood in 13 to 20 feet and around Spoils Island when jigging or trolling crank baits. East of Bay City, boats launching at Finn Road are going back west and fishing around Spoils Island. White bass and catfish were caught at the Hot Ponds. 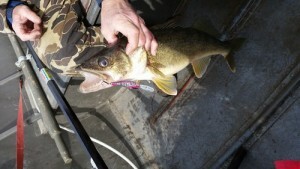 Up the east side, walleye were caught in five feet off Quanicassee. Some are going as far as the Spark Plug. From Sunset Bay north to Caseville, not much for boat anglers; just cut anglers after perch though the run is over with only small fish in the cuts and rivers. Some very big smallmouth bass were caught and released off the end of the pier at Caseville and by shore and pier anglers at Port Austin and Grindstone City. 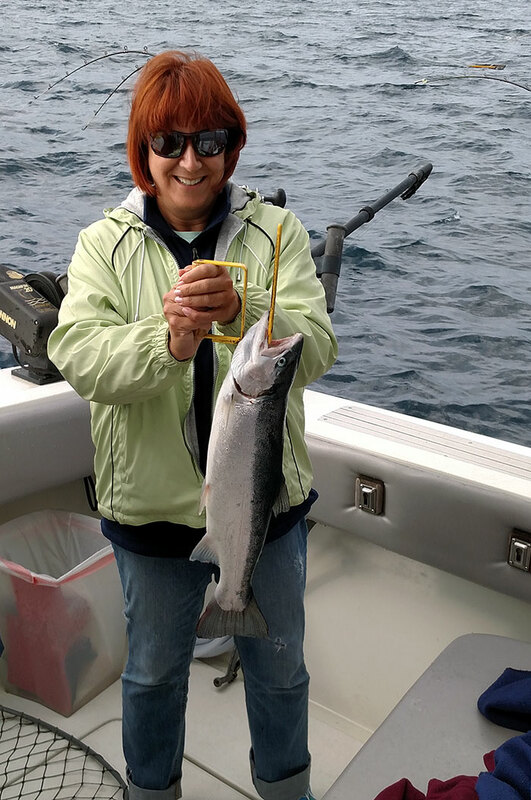 Fish 4 to 6 pounds were caught and released by those casting jigs with assorted plastics. Au Gres Area boat anglers fishing around Whitestone Point and Point Lookout did well for walleye. Some are dipping smelt from boats at night with lights hung over the side to attract them. Pier anglers casting for walleye at end of breakwall at night were getting a few. A small number of smelt were taken by those with dip nets around the shoreline at Point Lookout and Point Au Gres. Au Gres River most of the steelhead are apparently further upriver. Near the Singing Bridge, those surfcasting at night have caught some walleye. Sucker runs are winding down however there were still quite a few fish in the river. 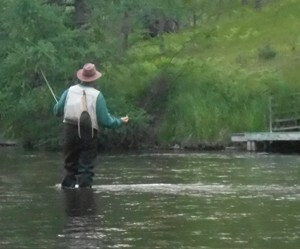 Au Sable River anglers should find some steelhead and brown trout. Try spawn, wax worms and flies. With the cooler weather, try fishing the deeper holes. Tawas Area boats trolling husky-jerks near the artificial reef and those jigging were getting some walleyes and quite a few lake trout. 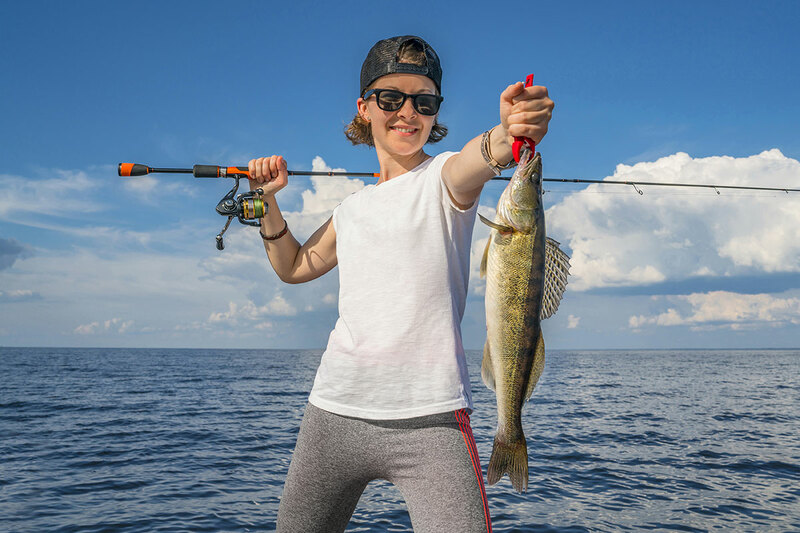 Pier fishing was spotty with only one Atlantic, and a couple walleye, pike and lake trout taken when casting or still-fishing. Minnows come and go inside the harbor. Tawas River was producing mostly suckers and carp. A few walleye were taken off the mouth. 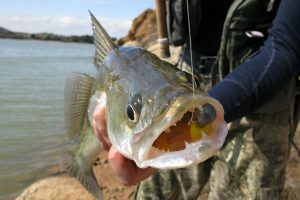 Weekly Fishing Tip: New to fly fishing? Buying equipment doesn’t have to be intimidating! Many would-be anglers find fly fishing to be a tad intimidating, but it doesn’t have to be! Part of the intimidation relates to purchasing the necessary equipment, which can get quite expensive. But there are really just a few items you need to make your experience successful! Obviously the rod is most critical component needed. 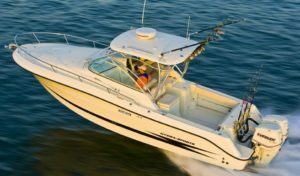 Many sources encourage anglers to find an option between $100 and $200. The next critical component is the reel, available as a separate purchase from the rod or bought together as a combo. The last necessary item you will need is fly line! 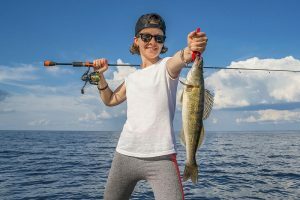 Additional equipment you might need when fly fishing include something to cut the fly line (such as fingernail clippers), polarized sunglasses so you can see better into the water you are fishing, and a hat with a brim to protect you from the elements. You should include a selection of both dry and wet flies in an easy-to-access container, needle-nose pliers or a hemostat to help remove the hook, and a license valid for the area you are fishing. Also, unless you have a boat you most likely will need to get into the water when fly fishing so waders will be necessary to have as well. And don’t forget your sunscreen and bug spray! 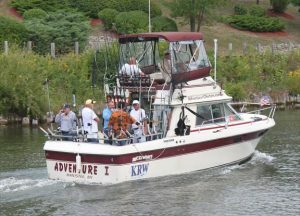 Want even more info on fly fishing in Michigan? Check out the DNR’s How-To Go Fly Fishing website!